Striving for perfection can be a damaging ambition not only for your child but for the entire family. 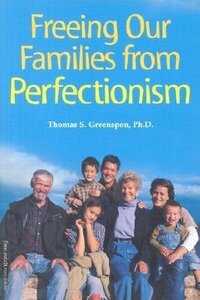 In this insightful and practical book, Dr Greenspon explains perfectionism, where it comes from, and what to do about it. Perfectionism is not about doing our best. It's not about the struggle for excellence, or the healthy striving for high goals. Perfectionism is about believing that if we can just do something perfectly, other people will love and accept us-and if we can't, we'll never be good enough. Perfectionism is a burden that takes a heavy toll. Personal relationships are strained. Intimacy is elusive. Work seems overwhelming. Creativity slows to a trickle. Physical exhaustion is common. Perfectionism is painful and debilitating-a no-win situation. As parents, we influence our children's emotional development. The bad news is, our own attitudes about love, acceptance, success, and failure can create an environment that promotes perfectionism. The good news is, we can make positive changes that will enrich our children's lives-and our own. If you think your child may be a perfectionist-if you've ever wondered if you're a perfectionist-this book is for you. About "Freeing Our Families From Perfectionism"